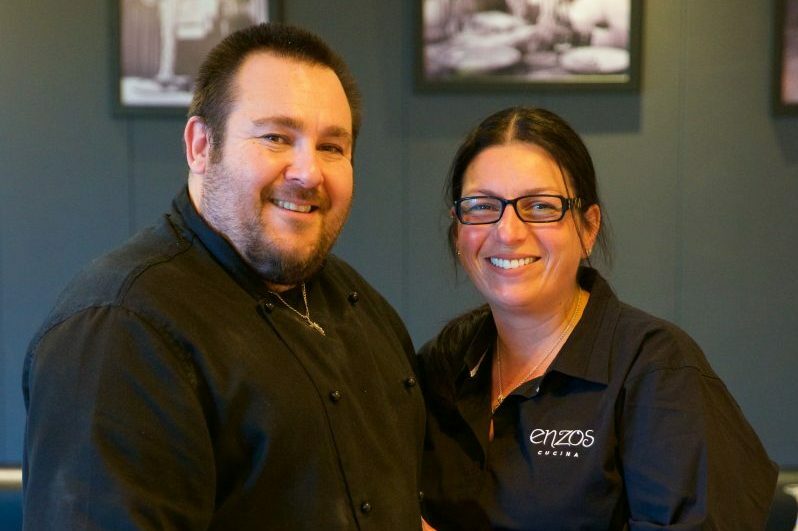 Husband and wife Joey and Silvana Pavlovic opened the second Enzo’s Cucina in Kemps Creek. Being friends from high school, Joey and Enzo worked their way up through the ranks in some of the best kitchens in western Sydney. Enzo’s Cucina Kemps Creek is all about creating memories and bringing people together with food. There are 120 seats at this location, making it perfect for functions. Joey makes sure the flavours are always precise and fresh. Joey’s wife Silvana and her front of house staff provide a relaxed vibe which always makes you feel like a welcomed and valued friend. This little rustic village shop feels so far from the city yet is so close to Liverpool CBD. Visiting this 120 seats Italian restaurant amongst farmland is always easy with plenty of parking to pick up your pizzas or just to stop in and say hello. Lots of free parking available, Take away and group bookings welcome.